Avenues is best clinic for hair transplantation in Ahmedabad. It is a trusted center for hair because it has best hair specialist doctor in Ahmedabad. 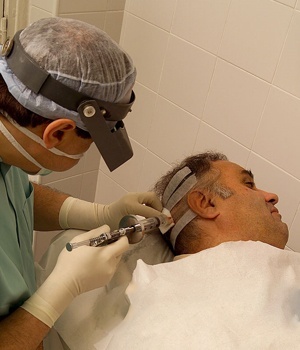 It is a clinic that is equipped with all necessary advanced technologies required to perform best hair transplant procedure and Avenues has best Hair doctor in Ahmedabad who uses all this available technology to provide state of art services to all hair loss patients. He is renowned name in the field and has served many patients with satisfactory results from past many years. Dr Kapadia is best hair specialist in Ahmedabad. He has received Gold Medal in the field of Plastic Surgery. He is a Board Certified Cosmetic surgeon. He is an experienced doctor who can be trusted for best results. He is excellent in everything what he perform. He has knowledge in all the fields including Body Contouring, Breast Surgeries, Botox, Fillers. 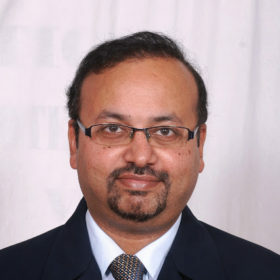 Other than this he is expert in Reconstructive Microsurgery in India. He is one among that hair specialist doctor in Gujarat who is been trusted by hair loss patients. He pursued his MBBS and then completed his MS from Bangalore medical college. Later he also pursued MCh in plastic surgery from the civil hospital of Ahmedabad. He was a throughout gold medalist in his Final University Exam. After his board certification he did fellowship in Mumbai as well as in Cochin from Amrita Institute in following fields namely cosmetic, hair transplantation and micro vascular surgery. He has completed his training under leading national and international hair transplant experts of USA, the pioneer in hair surgery. He is seen attending national and international conferences on the subject of hair restoration and cosmetic surgery. Other than this he is also an active Member of Cosmetic Surgery and Hair Restoration Societies. He is a doctor with warm and caring attitude who take optimal care of every patient coming to him for treatment. Dr. Kinnar is specifically interested in problem of each patient and treats him with all efforts. He provides true consultation to his patients and work to achieve desired results. He set realistic expectation and work to provide honest results. For best results in hair transplant and cosmetic surgery choose only the best hair transplant in Ahmedabad, Gujarat and that is Dr. Kinnar Kapadia. He is one among the top hair doctor in Ahmedabad who is currently looking over Avenues. He was and will remain to be an honorary consultant in Hair Transplantation and Cosmetic Surgery. Dr Kapadia is well known for his procedures and is successfully heading all the Hair Transplant and Plastic Surgery procedures at the Avenues Center at Ahmedabad. When seen with his past record he has treated many successful patients in last few years with his surgical and nonsurgical cosmetic treatments at Avenues.